Collaboration between engineers, designers, and clients has always been a big part of product design. When they are separated by miles or even continents, companies utilize file sharing and video conferencing to make remote collaboration possible. But while these tools are useful, they’ll never take the place of having a live meeting with all the players in person. Two companies have taken remote collaboration a step further to foster the kind of collaboration that’s possible only when everyone’s together. Virtual reality headsets coupled with real-time rendering has brought the future to now, with engineers and designers from remote locations working in the same virtual environment in real time. You’d be forgiven for thinking that previews of the NVIDIA Holodeck are from a trailer for a sci-fi movie. The Holodeck is a photorealistic, collaborative virtual reality environment that uses sight, sound, and haptics to create a feeling of real-world presence. Holodeck is built on an enhanced version of Unreal Engine for real-time rendering, and includes a series of NVIDIA tools for virtual reality. Creators can import full-resolution models with photoreal textures into the Holodeck environment and use virtual reality to collaborate with colleagues, and propose changes in real time. BMW has often been at the forefront of innovation in design processes. 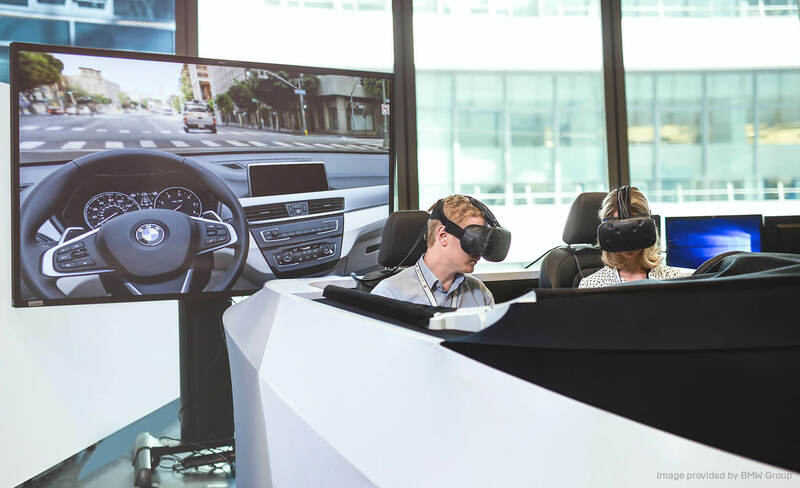 Recently, BMW introduced a mixed reality system into their vehicle development pipeline to facilitate collaboration between designers and engineers. 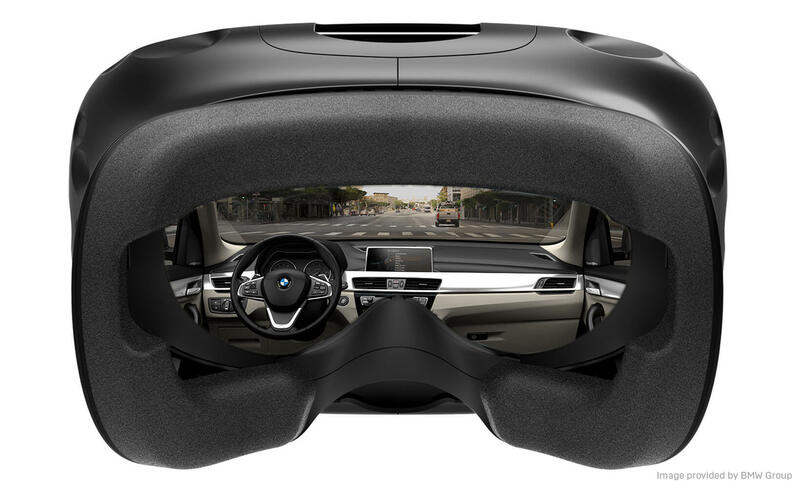 The system includes a VR headset that displays an overlay of the latest design onto a physical “interior”. Users can also take a virtual drive through a photoreal 360-degree urban environment that updates and renders in real time. The system helps engineers and designers get a complete picture of the driver’s experience before the car is built. For example, they can see whether certain controls are awkward to use or difficult to see from different viewing angles or seat positions. The photoreal graphics for the system are computed by Unreal Engine, with a display rate of 90 frames per second to provide a full user experience. 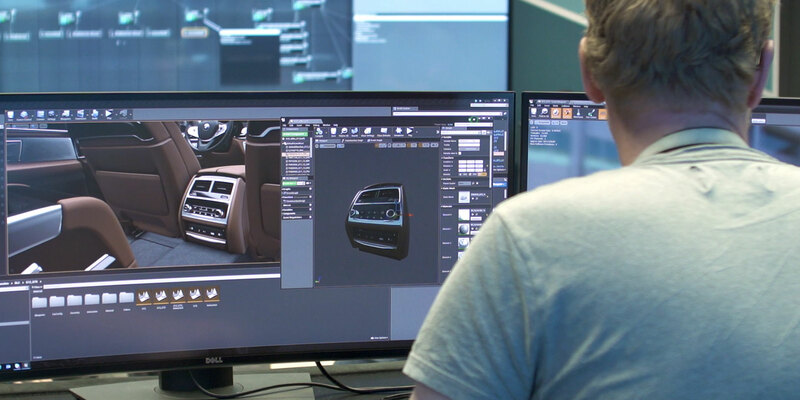 For NVIDIA and BMW, Unreal Engine provides the real-time, photoreal rendering that makes VR-based collaboration possible. We look forward to seeing what these innovative companies will create next to take advantage of the expanding limits of VR and real-time rendering. To support more bold endeavors like these, the creators of Unreal Engine have introduced Unreal Studio, a suite of tools for importing CAD data into Unreal Engine. Unreal Studio includes unlimited use of Unreal Engine, and extensive learning materials to get you up to speed quickly. Unreal Studio is available as a free beta until November 2018. Ready to try out Unreal Engine, but need a hand getting started? Sign up for the free Unreal Studio beta today and get access to export plugins, learning materials, and more!